Thousands of people across Mozambique, Malawi and Zimbabwe whose lives have been devastated by Cyclone Idai will be given access to clean water, as well as tarpaulins, plastic sheets and other emergency supplies, thanks to a grant of £45,000 from the Masonic Charitable Foundation, the freemasons’ charity. The money is being donated to Plan International UK which is working to help survivors, including young women and children, who are at particular risk. The grant from the freemasons will provide jerry cans, water purification tablets and buckets to thousands of people who have lost everything and are at risk of potentially-deadly waterborne diseases. Over 750 people have died in the three countries on the south-east coast of Africa with Mozambique suffering the highest human fatalities. As the death toll continues to rise, over 260,000 children have been affected in the country and at least 350,000 people are at risk from rising flood waters. In Malawi, close to a million people have been affected with nearly half a million being children. Plan International UK is a member of the Disasters Emergency Committee (DEC). The DEC brings together 14 leading UK aid charities in times of crisis, to maximise the impact and help children and families who need it most. The Masonic Charitable Foundation is funded by freemasons, their families and friends, from across England and Wales. Ebbie Muhire (28) is sheltering at a church in southern Malawi with five family members including her youngest child, a three-year-old toddler. 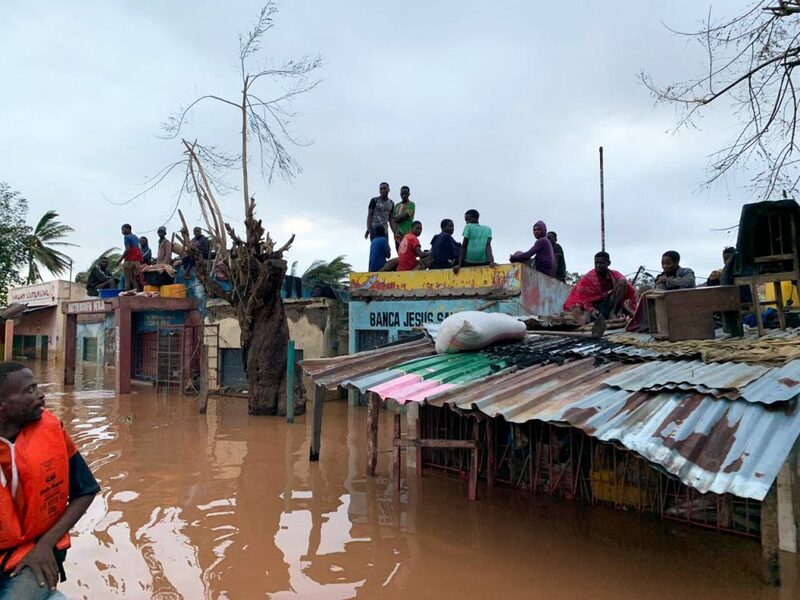 Tropical Cyclone Idai made landfall near the port city of Beira late last Thursday and slowly moved inland over the weekend, carving a trail of destruction across central Mozambqiue. The storm brought heavy rainfall and wind gusts of up to 105 miles per hour to the region, where dry conditions gave way to massive flooding. Plan International, in coordination with the national governments, local partners and other humanitarian organisations, is prioritising the needs of affected families to ensure that have access to food, shelter, clean water and sanitation. We supported the search and rescue of people trapped in flooded parts of Buzi district. Together with our partner AJOAGO, in the last four days our boats have rescued more than 800 people, transferring them from the roofs of buildings and trees to safe shelters for people displaced by the floods. News and Announcements from the Provincial Communications Officer.